During the vacation, I was able to do some benchmarking. 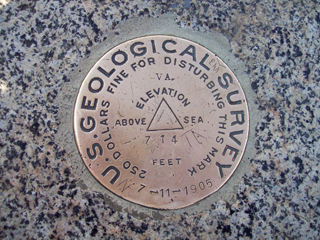 This page documents the benchmarks recovered or discovered lost during this vacation trip. 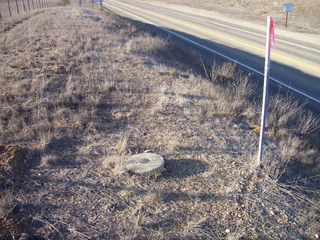 Picture of DZ1253 from when I recovered it in 2007 on 154 near the intersection with 246 in Santa Ynez. 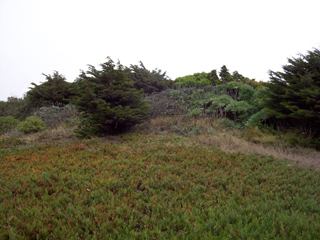 Picture of the former location of DZ1253 as discovered on the drive to San Francisco. The intersection was reconstructed in 2008. 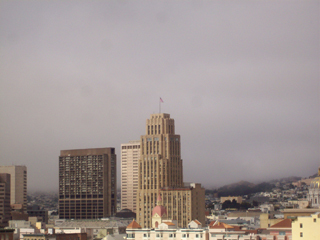 HT3099 - San Francisco William Taylor Hotel, as viewed from our hotel room. 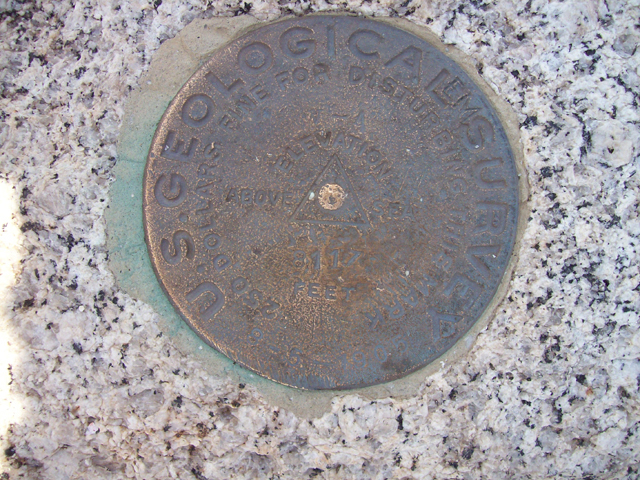 The mark is the tip of the flagpole. 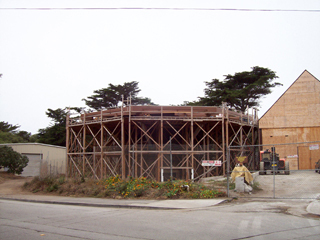 The building is now part of the UC Hastings College of Law. 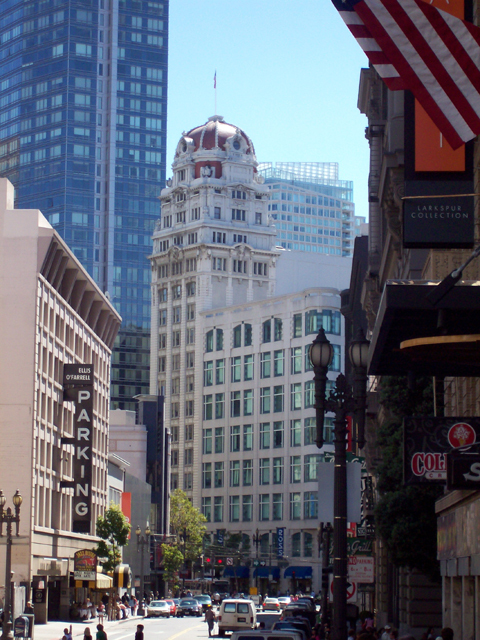 HT3110 - San Francisco Drake Hotel Flag Staff. 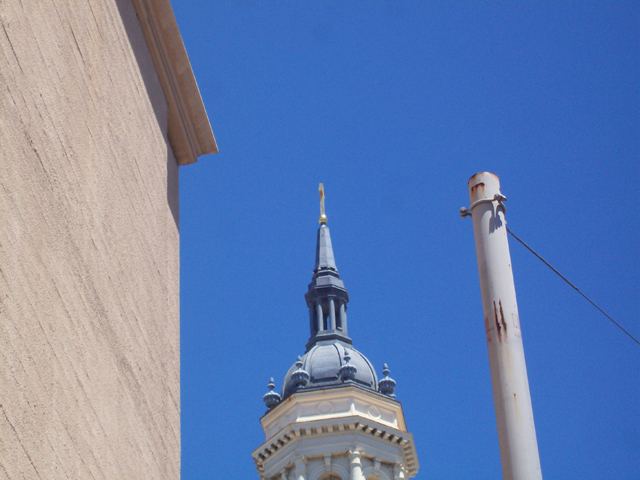 The mark is the tip of the southern flagpole, the one to the right. HT3057 - San Francisco Bank of America Dome Flagpole. The mark is the tip of the flagpole atop the dome. HT3068 - San Francisco Prayer Book Cross. 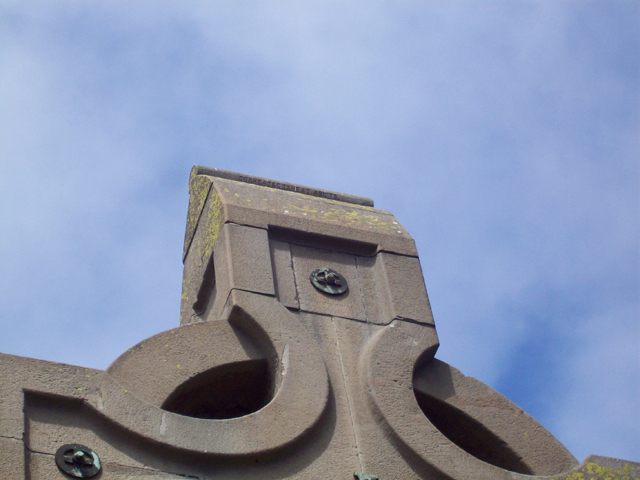 The mark is the center top of the stone cross in Golden Gate Park. 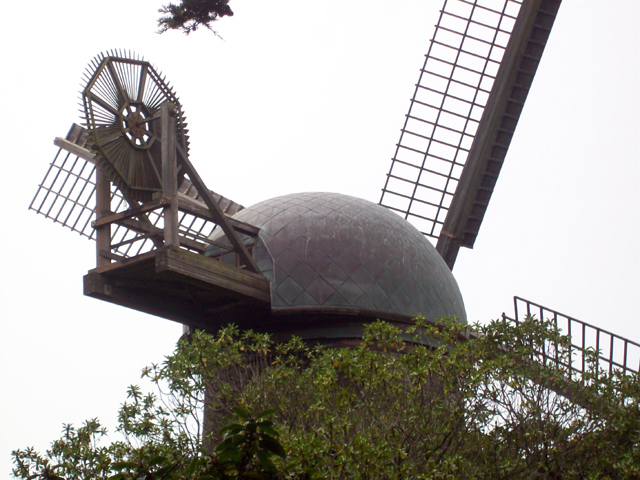 HT3413 - San Francisco North Dutch Windmill. The mark is the top center of the windmill dome. 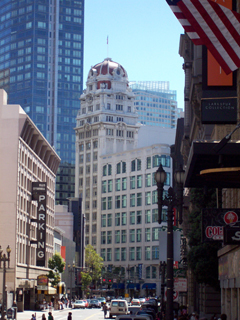 HT3411 - San Francisco Flagpole. 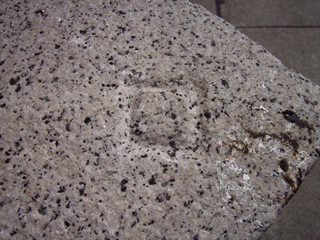 View of the former location of this mark. It is gone. HT3416 - San Francisco South Dutch Windmill. 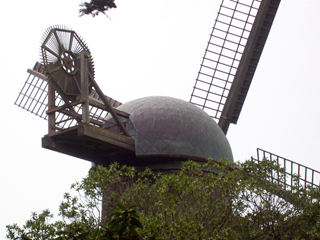 The windmill is undergoing restoration and is unavailable. Should be recoverable in the near future. 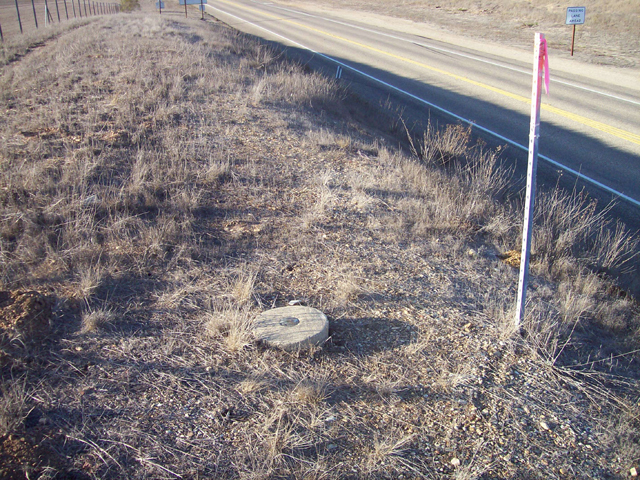 HT1844 - B 2 USGS. 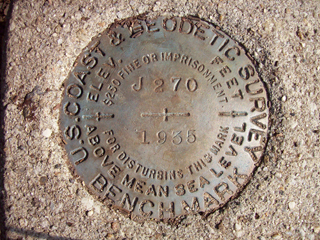 View of the former location of this mark. It is gone. 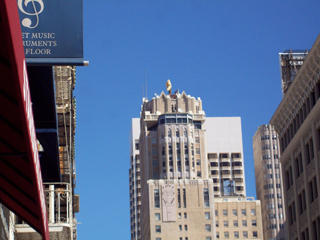 HT3129 - San Francisco St. Ignatius West Spire. 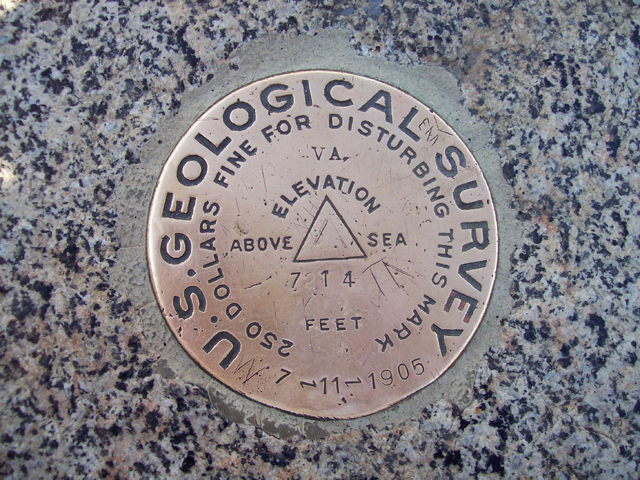 The mark is the top of the spire. 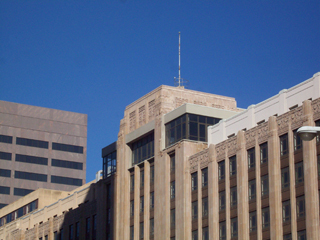 HT0748 - Chiseled Square. 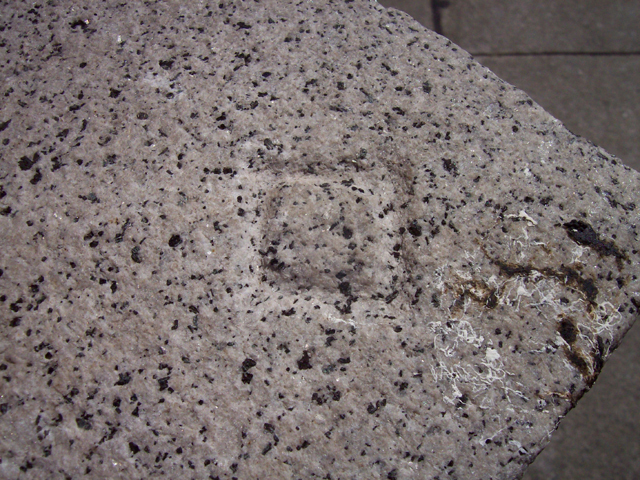 View of the mark, chiseled into a granite foundation stone for the old Federal Office Building. HT30959 - San Francisco Radio Station KSAN Tower. The tower has been removed. The mark is gone. 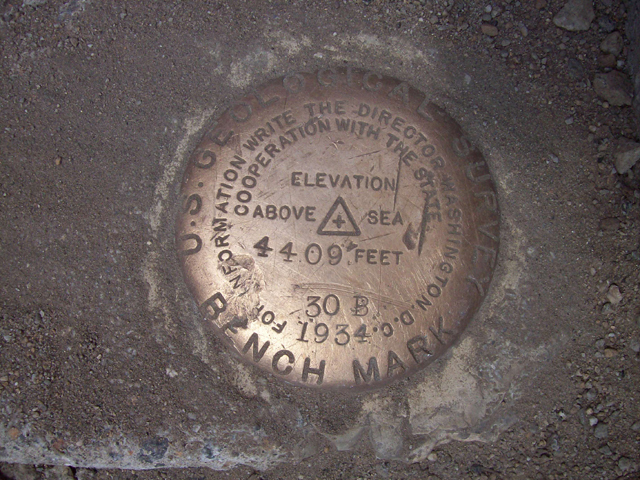 HT3119 - Mt. Sutro TV Tower South Antenna. 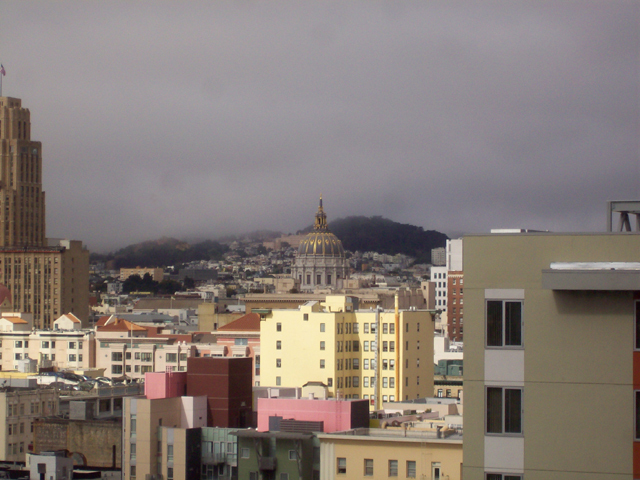 View of the mark from our hotel room, the left antenna. HT3120 - Mt. Sutro TV Tower North Antenna. View of the mark from our hotel room, the center antenna. HT3121 - Mt. 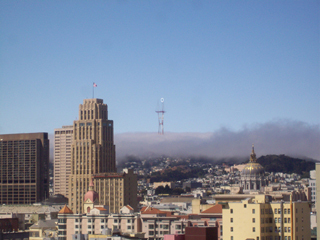 Sutro TV Tower West Antenna. View of the mark from our hotel room, the right antenna. HR2394 - R 1390. 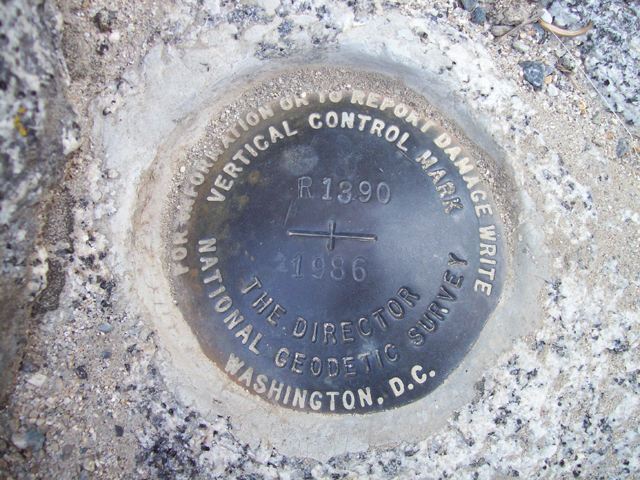 Close-up view of a vertical control mark along RT 120 in Yosemite. HR2869 - Crane Flat Lookout. The mark is the top center of the lookout hut. HR2392 - P 1390. 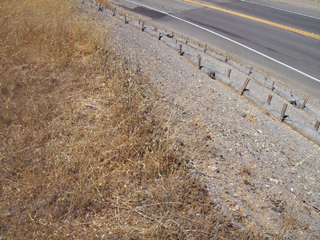 Close-up view of a vertical control mark along RT 120 in Yosemite. 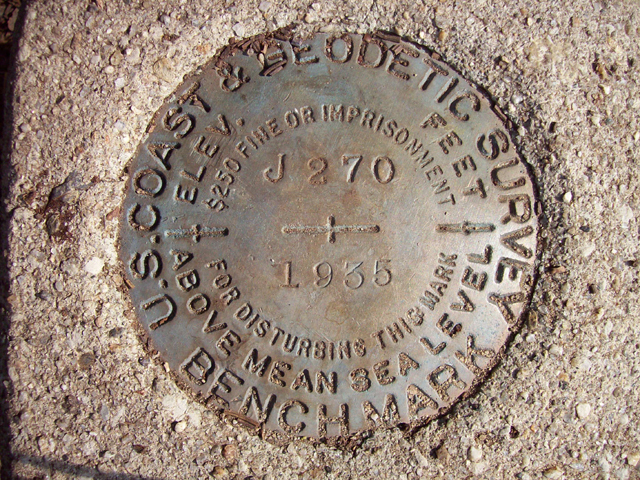 HR0840 - J 270. 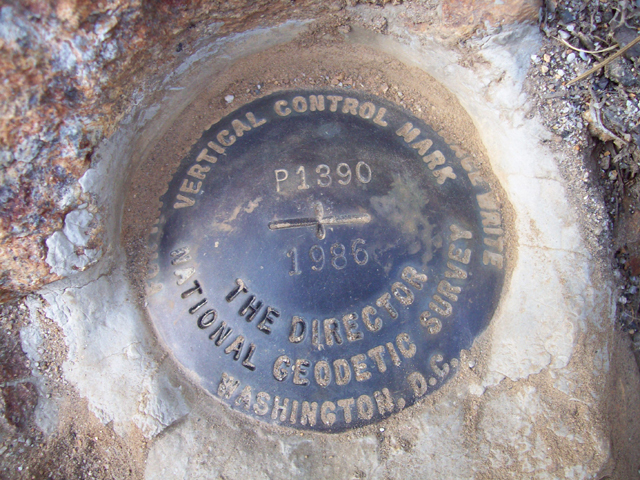 Close-up view of a vertical control mark in Yosemite. 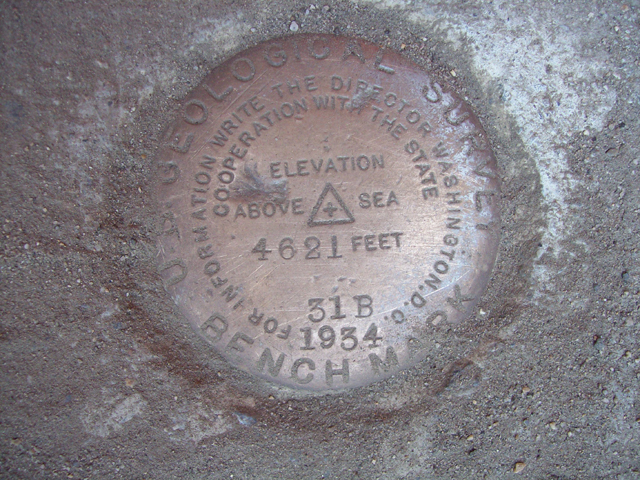 HR0724 - 30 B. Close-up view of a vertical control mark along RT 41 in Yosemite. HR2891 - Sentinel Dome. Close-up view of the Horizontal control mark on Sentinel Dome in Yosemite. 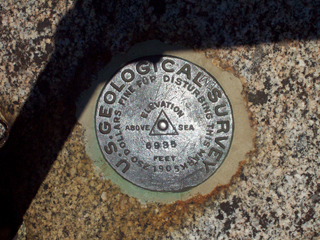 HR2877 - Glacier Point. Close-up view of the Horizontal control mark at Glacier point in Yosemite. 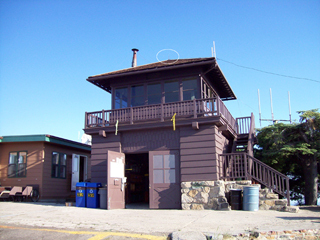 HR2891 - Yosemite Point. 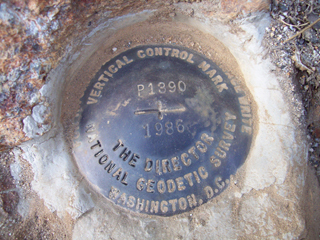 Close-up view of the Horizontal control mark at Yosemite Point, above the upper fall. 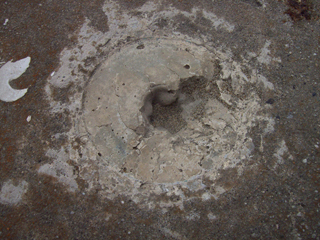 HR0706 - 16=3983. 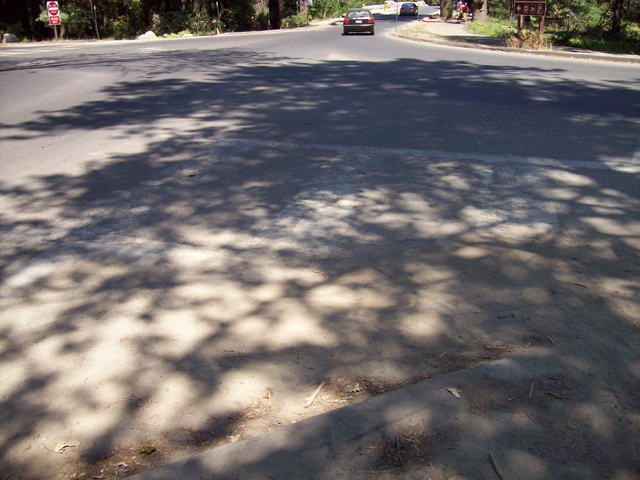 View of the former area of this mark in Yosemite. Road improvement has destroyed this one. HR0705 - T 715. 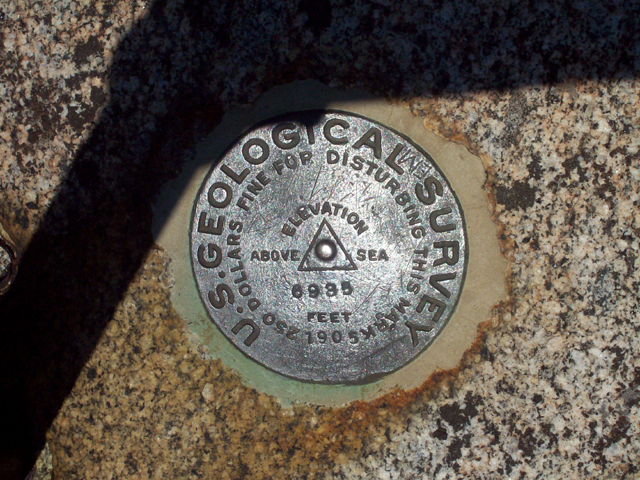 View of the former area of this mark in Yosemite. 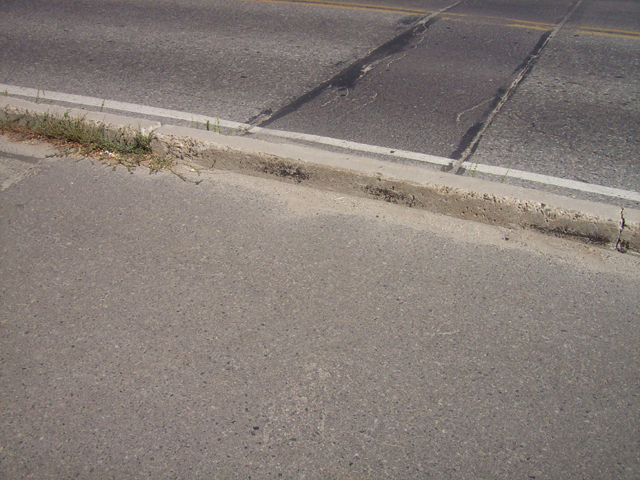 Road improvement has destroyed this one. 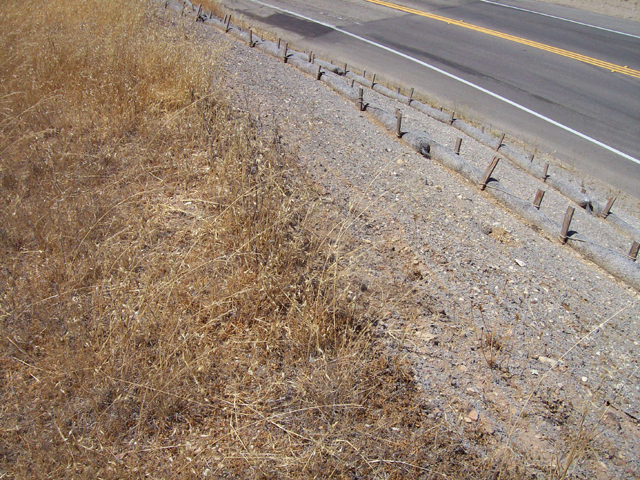 HR0724 - 31 B. Close-up view of a vertical control mark along RT 41 in Yosemite.